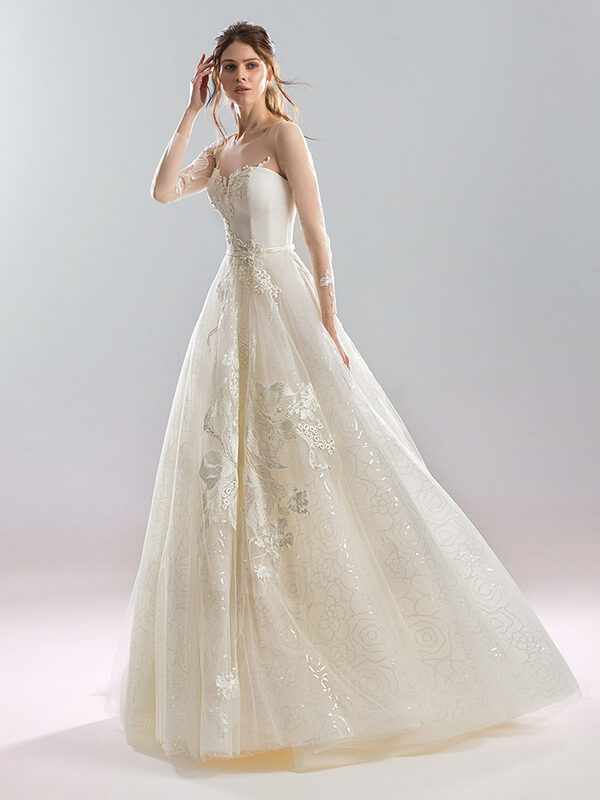 A traditional look, this is a soft ball gown wedding dress with illusion sleeves and lace embroidery throughout the skirt. The full skirt with sequinned lace inner layer is the perfect compliment to the sweetheart bodice and illusion neckline. 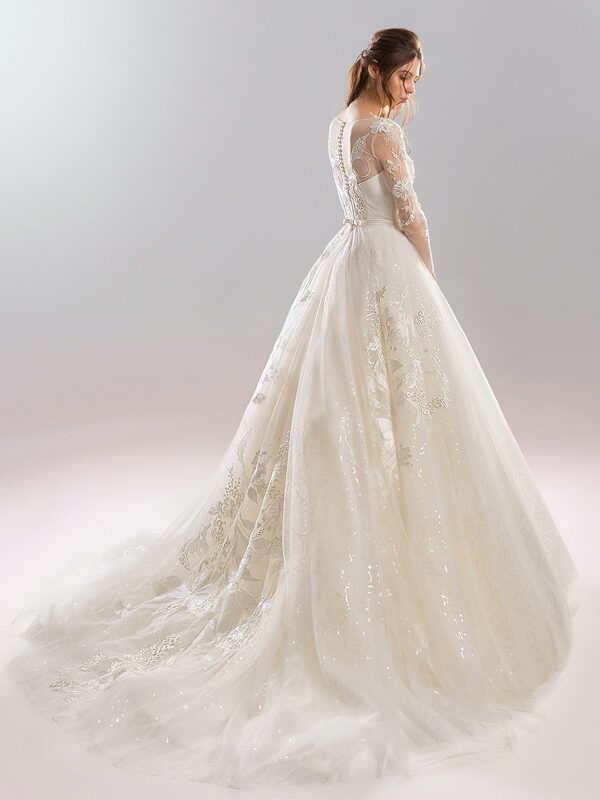 The embroidery is featured throughout the whole dress, especially standing out on the intricate sleeves.